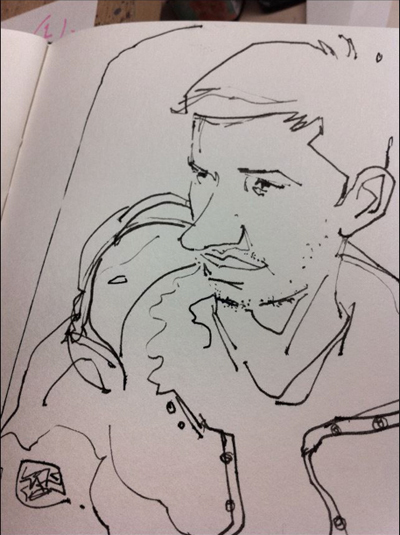 Brother/Genius Lok Jansen did this drawing of me after I begged him. Check out his work here. It’s amazing. From the upcoming Special Edition Ascent: Commemorating Space Shuttle, a movie from the point of view of the Solid Rocket Booster with sound mixing and enhancement done by Skywalker Sound. Full screen and space age speakers recommended.